Cubs from across East and West Sussex gathered at Ardingly at the weekend for Sussex 100, a camp celebrating their section’s centenary. It was the adventure of a lifetime for 2,600 Cub Scouts from across the two counties, running from Friday until today. 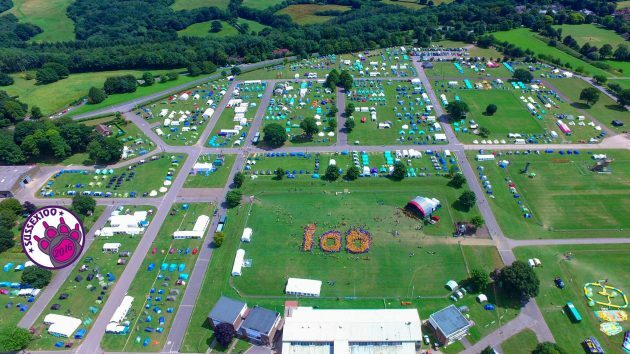 The weekend of camping, challenge and adventure, held at the South of England Showground in Ardingly, celebrated 100 years of the Cub Scout section, which started in 1916 to provide activities for boys who were too young to be Scouts. East Sussex County Scouts and West Sussex Scouts, working in partnership for the weekend, said the boys and girls had the chance to try a range of new experiences – some adventurous and challenging, some educational and others pure fun. 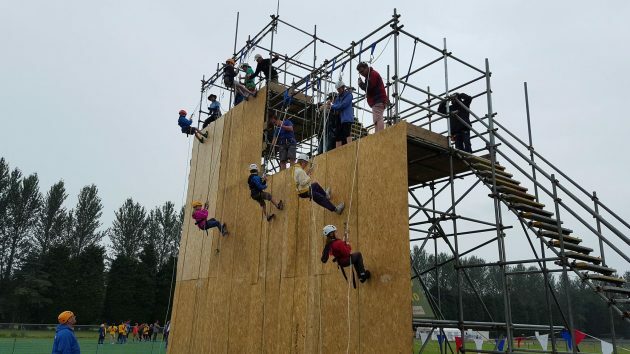 These included a king-sized climbing and abseil wall, an extra-high aerial runway, archery and shooting, zorbing, pedal karts and handling exotic animals. In the evenings, the Cubs gathered for entertainments, like a camp fire on Saturday and Jungle Fever, an extravaganza of singing and dancing. During the weekend, the young people were able to show off their amazing abilities as entertainers and Sunday evening saw the final of Cubs Got Talent, where Mai from Brighton was chosen as the best of the best. Kaleigh, a Cub from Worthing, said the weekend had been ‘amazing’, ‘exciting’ and ‘awesome’, sentiments echoed my most of the young people. Hannah Kentish, the Scout Association’s UK Youth Commissioner visited the camp and told the Cubs this was the best Cubs 100 she had visited so far.